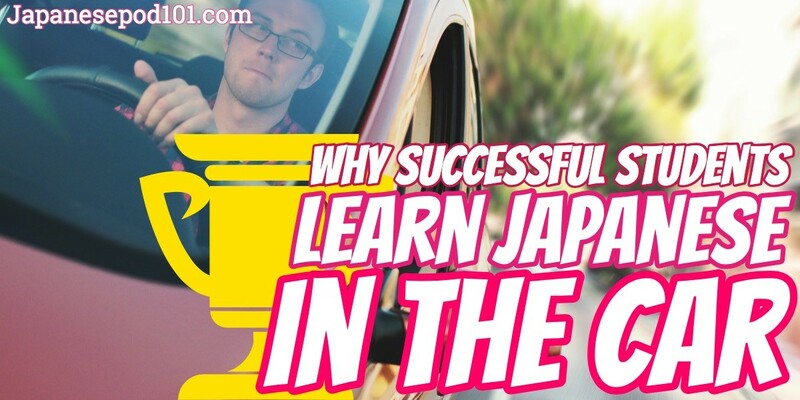 Not only is it possible to learn Japanese in your car, there are 3 great benefits that will help you master the language faster and with less effort. With everyone so pressed for time these days, it might seem like a daydream to believe that you could learn Japanese in your car—but it’s not! Thanks to a wide range of new technologies and resources, learning a language in your car is easier than ever. Not only is it easy to learn a language while driving, there are actually a number of benefits, especially if the lessons are part of a structured learning program like JapanesePod101. Here are three specific benefits to learning Japanese or any other new language in your car. 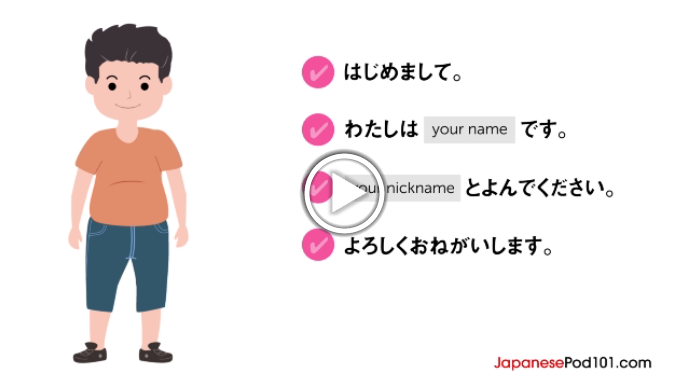 Create Your Free Account and Learn Japanese from the Very Beginning! How much time do you spend commuting to and from work? Learning a language in your car transforms your commute time into tangible progress towards your dream. So instead of being stressed over how much time you are “wasting” on errands and daily commutes, you can decompress and have some fun while you learn Japanese in your car! 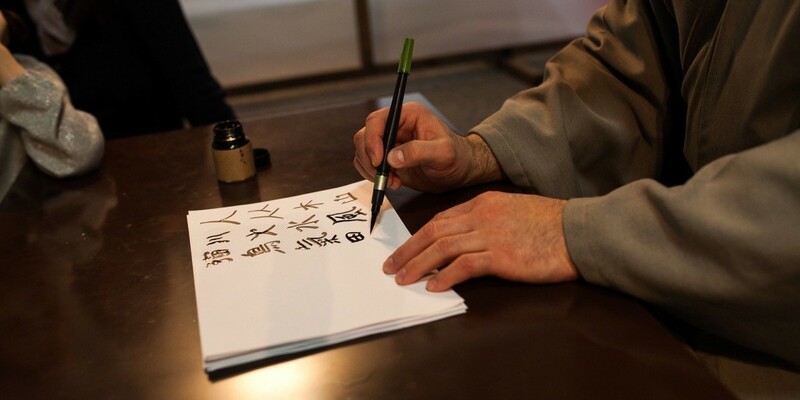 Practice makes perfect and learning a new language is no different. The daily exposure you get when you learn Japanese while driving helps improve listening comprehension, pronunciation, and of course helps build vocabulary and improve grammar. Don’t worry: You don’t need to memorize everything as you listen in Japanese while driving. Just having continuous exposure to a foreign language helps you improve your vocabulary, learn faster, and ultimately retain more through passive learning. Learning a new language does require a serious commitment, but that doesn’t mean it can’t be fun! When you learn Japanese in your car, you get to take some time away from the PC or smartphone and immerse yourself in the language instead of just “studying” it. Want to Learn How to Get Angry in Japanese? Pick-Up Lines? Our Vocabulary Lists are Made for You! -Listen to Podcasts: Typically designed to focus on one topic or lesson, podcasts are a great way to learn a language while driving. Unfortunately, podcasts are rarely at the same listening/comprehension level as the language learner so listeners may not get their full value. But at JapanesePod101, our podcasts are created for every skill level so you don’t waste any time on material that isn’t relevant or suited to your exact needs. -Sing Along to Japanese Songs: Remember, just immersing yourself in a language can create passive learning and improve your pronunciation. Plus, with JapanesePod101, you can sing along and memorize the lyrics, and then look the words up and add them to your personal dictionary. -Playing Word Games or Trivia: There are audio games available online that you can download to any media device and listen to on your commute. Although we recommend this option for more advanced users, games are a fun and productive way to learn Japanese in your car because they require listening and comprehension skills. You won’t recognize or understand every word you hear in a Japanese song, podcast, or game—but that’s ok. The daily repetition and immersion in the language leads to passive learning that gradually increases your knowledge of vocabulary, grammar, and pronunciation. 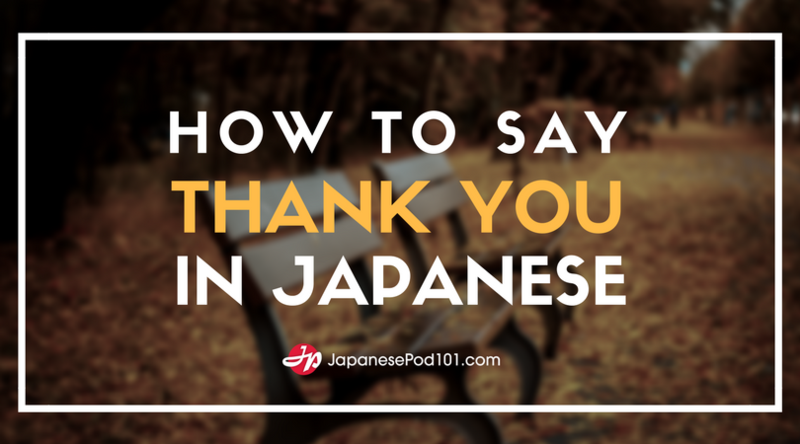 And the greater your foundation in grammar and vocabulary, the more you’ll understand and learn from the audio lessons, podcasts, or whatever you listen to while learning Japanese in your car. Yes, you can learn Japanese while driving because it leads to passive learning via daily immersion in the language. Although you may not understand all or even most of what you hear at first, the exposure helps improve pronunciation, vocabulary, and even grammar over time. Learning a language while driving also helps transform your commute into exciting “exotic adventures” that secretly teach you Japanese in the process. Podcasts, songs, and even games can all help you learn Japanese in your car while eliminating the “boring commute” in the process! At JapanesePod101, we have more than 2500+ HD audio lessons and podcasts for every skill level that you can download and use to learn Japanese while driving! 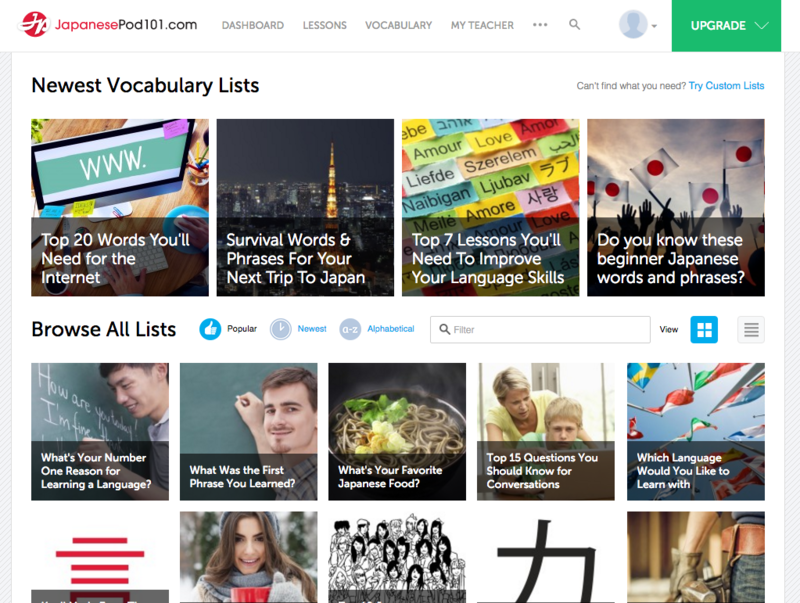 So don’t forget to sign up for a Free Lifetime Account on JapanesePod101.com to access tons of FREE lessons and features to become fluent in Japanese! I first want to say that learning another language is difficult. It’s time-consuming, you always feel like you’re not pronouncing things right and it’s really easy to just give up. BUT DON’T! Learning another language is the best thing I have done to improve my mind and my view on the world. When I decided to spend my summer in Japan, I had not learned a word of Japanese. I thought I would be able to pick it up from simply being around it all the time. I was wrong. 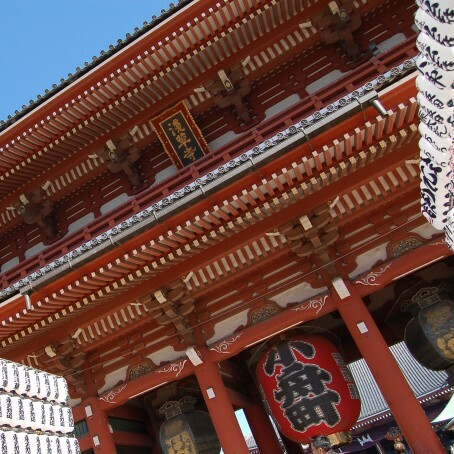 When I arrived in Japan, I felt because of my language barrier I was missing out on a part of Japan that only people who spoke the language got to experience. This was when I started using JapanesePod101. It’s free!!! → Free is always better, am I right? 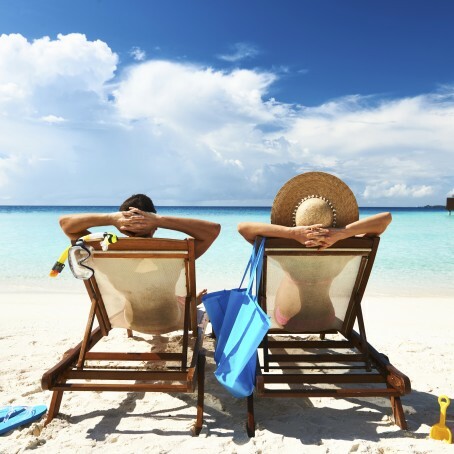 It was really simply to sign up and it was amazing how I was able to use their basic services for free. If I wanted to learn more, I would simply upgrade my account (which wasn’t much) and their range of lessons just kept expanding. Videos and Audio → It was helpful that the videos had a native-speaking host. The pronunciation and accents felt authentic. Clear starting point → My biggest problem when I was trying to teach myself Japanese was that I didn’t know where to start! With the clearly laid out Learning Paths, I was able to know where to start and what the next step would be. 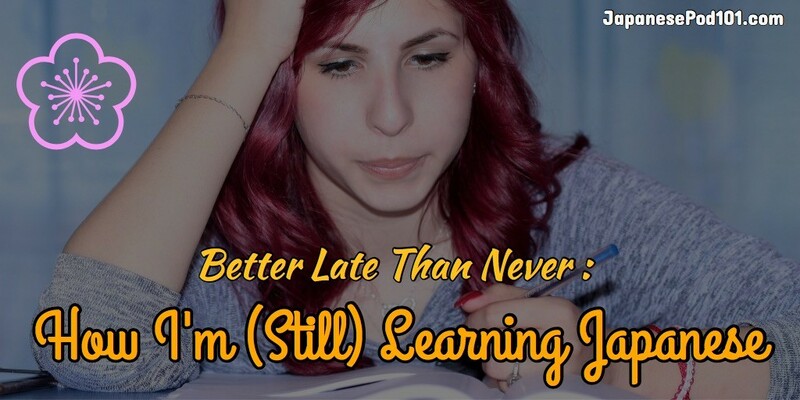 Go at your own pace → There is never a time limit to fulfill a certain number of lessons. Once you sign up, you get a Lifetime Account so you can use JapanesePod101 whenever you have time. Click here to create your Free Lifetime Account and get on the path of fluency! I’ll admit, I am still at the absolute beginner level. But as I continue using JapanesePod101, I feel more and more confident in myself and my Japanese. I was always interested in traveling to Japan. The culture, people, and natural beauty of the country were what drew me in. I knew that it was definitely a place that I wanted to visit in the future and something that would be on my bucket list. 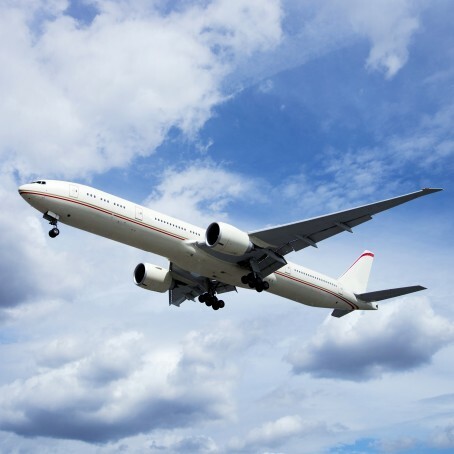 But for one reason or another, I had never really had the opportunity to travel across the Pacific. I was either too broke or too busy. That changed last summer when I decided to put an end to my procrastination and fulfill my dream. I purchased my ticket to Japan online and celebrated with a triumphant cheer. However, I soon came to a realization. I did not speak one word of Japanese. I had one month until I embarked on my adventure and I wanted to learn as much Japanese as I could, so I decided to look into my options. While perusing the internet in search of a Japanese language program that would fit my needs, I kept finding myself at JapanesePod101.com. 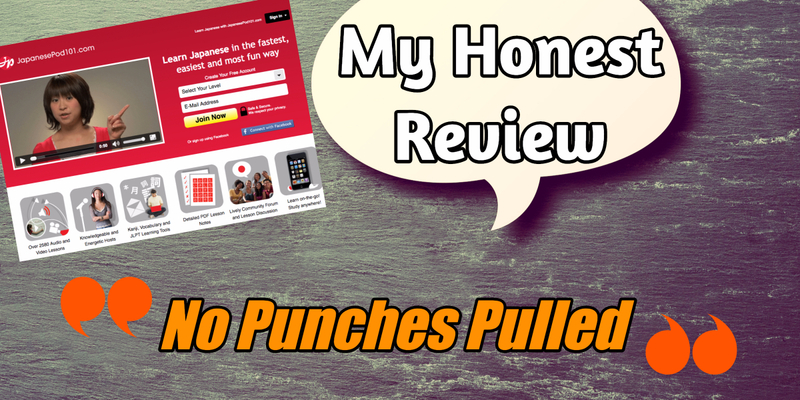 Admittedly, I was a little skeptical at first as I had tried similar language programs in the past with no success, but with hundreds of positive reviews as my reference, I decided to give them a shot. I was pleasantly surprised when I found out that JapanesePod101 not only offered affordable prices, but also a free 7-day trial of their Premium plan. With nothing to lose and a whole new world to gain, I signed up for the Premium plan. The sign-up process was quick and simple. It may have taken me 2 minutes at most to submit my information and receive my confirmation email. After that, I was immediately able to log-in and start my studying. The layout of the site was beautiful and I was able to use it on my Macbook, iPad, and iPhone without any trouble whatsoever. Due to the fact that I had no previous knowledge of Japanese language, I started my journey at the “Absolute Beginner” level. Instantly, I found myself eyeing over a curriculum that I knew would be beneficial to my trip. Topics such as survival phrases, introductions, shopping, and ordering food each had their own individual lessons. I began my studying that night with the goal of learning basic travel Japanese before I left. 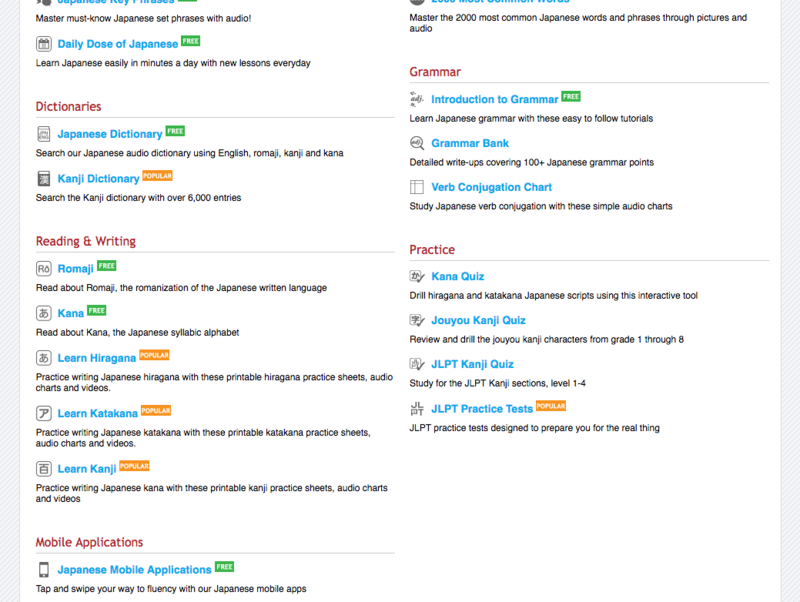 JapanesePod101 made it easy to track my progress and that helped me stay committed to my studies. I studied every single night for one whole month. Throughout my years, I’ve noticed that those who do not learn a language from a native-speaker tend to pick up an accent that derives from the teacher’s mother tongue. That’s why I think that this is one of the best things about JapanesePod101. Why learn from someone whose native-language is something other than Japanese when you could just as easily learn from someone who has been speaking it from birth? JapanesePod101 offers real dialogue from real Japanese speakers. For me, this was a deal-breaker. Though I love the convenience of being able to study online from any of my devices, sometimes I just like to keep it old school and have my notes on a piece of paper that I can physically touch and write on. Fortunately for me, JapanesePod101 offers easy to print PDF notes and transcripts for each of the lessons in the curriculum. Printing them out only takes a few seconds! I think that this is helpful for those lazy days when you may not feel like studying. JapanesePod101 will send you one word per day from their Japanese Core Word List. This ensures that even on your days off, you’re still getting a healthy and relevant intake of Japanese language! Check out the Japanese Word of the Day widget! As someone who is thinking about learning Japanese language seriously in the future, this feature really stood out to me. JapanesePod101 offers a large number of practice exams for the N4 and N5 JLPT tests, exams which test your proficiency in Japanese and are required by many employers who look to hire foreigners. This struck me as extremely valuable for someone who might want to find work and live in Japan. 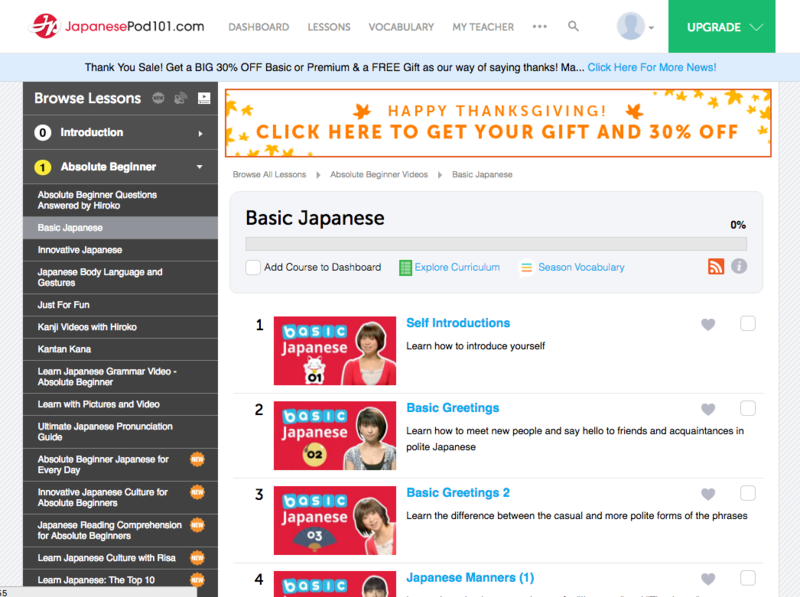 Last but not least, JapanesePod101 offers flashcards that make learning Japanese fun and easy. Users can select the set of flashcards that matches their current lesson in order to enhance their studies! JapanesePod101 offers a high-quality product at a fraction of the price of its competitors. For what you get, JapanesePod101 is a complete bargain. I think that this allows the student to grow and mature as a learner. Students can advance from one level to the next as they improve. On the other side, if you already have some knowledge of Japanese, you can easily start at a higher level without having to re-learn things you already know. This was a really big plus for me! I was able to use JapanesePod101 on my cell phone, tablet, and laptop. They even have their own apps! JapanesePod101 gives you the best of both worlds. Rather than taking a scheduled class, why not get the same benefit while studying in the comfort of your own home on your own time? I used JapanesePod101 to study for one month and then left for Japan. I stayed in Tokyo for 2 months and had the time of my life. There were definitely tons of things I couldn’t understand, but I was really surprised at how much I had learned! I was able to order food, go grocery shopping, and even order drinks at a local bar! I had become very comfortable with both hiragana and katakana and could actually read a lot of the signs and posters I saw. I can honestly say that I would have had a completely different experience without JapanesePod101. Without my studies, I wouldn’t have known how to ask for directions, get food by myself, or even thank someone for opening door for me! 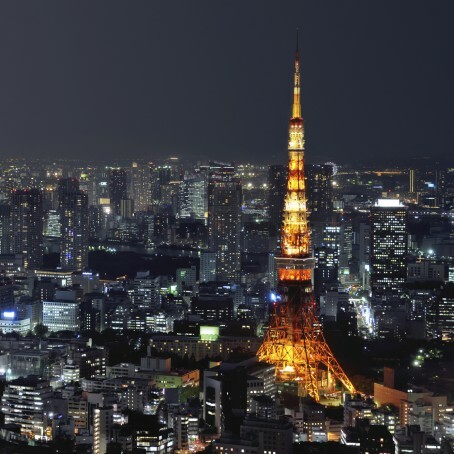 My time in Tokyo was one of the best times of my life…and I owe a large part of that to JapanesePod101. For example, if you’re studying Japanese, watching anime is a fantastic way to improve your language skill in a fun, light manner. Check out this article from our blog about 5 anime series that are useful to watch for Japanese learners. If you need more motivation, check out this list of the Top 10 Inspirational Quotes in Japanese. 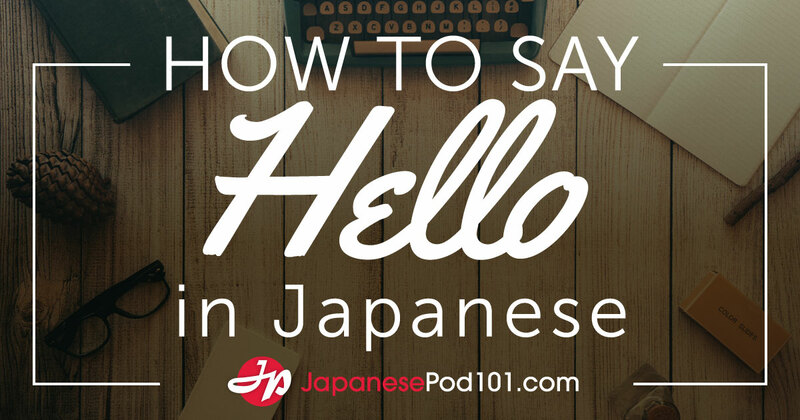 Want to learn how to introduce yourself in Japanese? Click here to check out this FREE Japanese video! Click here to learn new and unique Japanese vocabulary and phrases with FREE Vocabulary Lists! Many listeners tell us when and where they listen to our podcasts. At school, in the car, while walking their dogs, on the train, etc. But maybe sometimes it’s TOO convenient… Simon wrote in to tell us where he has listened to our podcast and about a time when he made a funny mistake while living with a host family in Japan. “I’m an avid fan of Japanese Pod 101. I love the lessons and I listen to them at every opportunity I get (including on the toilet! Whoops - too much information!). I was very privileged to do home stay for nine months the first time I lived in Japan (about 8 years ago). My home stay family were wonderful and they went out of their way to make me feel welcome and at home. I still keep in touch with them today. I always tried to use humble language with them (kenson no keigo). Far example, whenever I left the house I would say “Itte maerimasu!” instead of the more usual “Itte kimasu!”. Great story Simon, I think we all share the embarrassment of saying something like that before. And in the future, try to take a few breaks while studying! When did you start learning Japanese? High school? College? Or as a hobby after work each evening? “Konnichiwa, I’m Zach. I’m 12 years old, from the Philippines. I started learning Japanese last March. I was influenced by my friend Ki-el who was already 16 years old. When he told me of Japanese I was very thrilled. He introduced to me katakana and hiragana. We learned Japanese together, practiced katakana and hiragana together, and I even helped him learn kanji. We were so happy to hear we have a young audience like Zach and Paul that we decided to help them out with a free Premium subscription. How old were you when you started learning Japanese?